Attention baking-loving readers and reading-loving bakers! 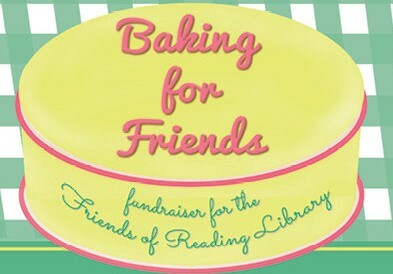 Don't miss this fabulous Friends of the Library fundraiser! View over 30 book-themed goodies displayed throughout the library. Decorate a cupcake and listen to stories by Peter Carcia and A.J. Jerrett. Come and see a cake decorating demonstration with professional cake decorator Susan Fitzgerald! Tickets can be purchased at the library through March 20 or at the door the day of the event. Entry fee of $10/person, $20/family includes raffle tickets. You may win an amazing baked creation or bid on some fun things in the silent auction.